Your job application does not end at the moment you step out the offices after what has been your interview. A lot of people do not know this, but job hunters are still under the microscope of employers even after the “thank you for coming in”s and the “we’ll get back to you soon”s. 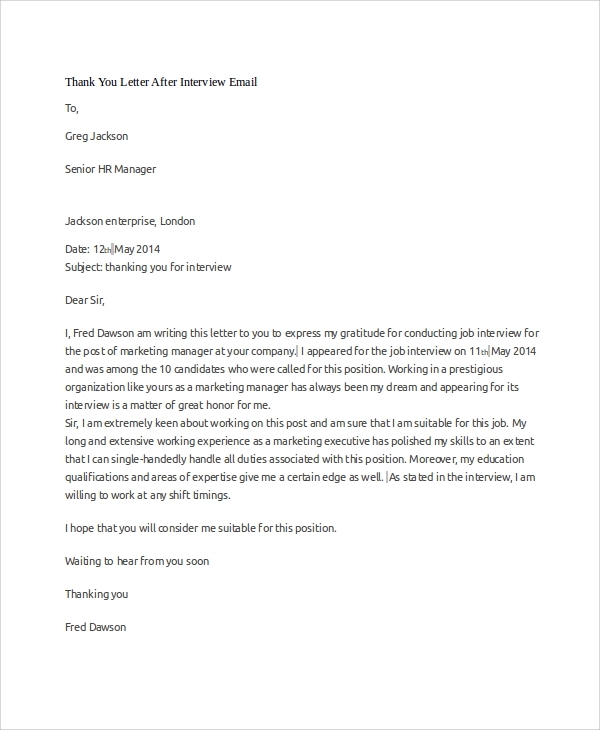 So regardless of how you personally thought your job application went, positive or negative, write a post-interview thank-you letter to your interviewers. It is a good way to demonstrate graciousness and gratitude; qualities that could help you woo your potential employers even more. Let this post and these Sample Letters guide you. 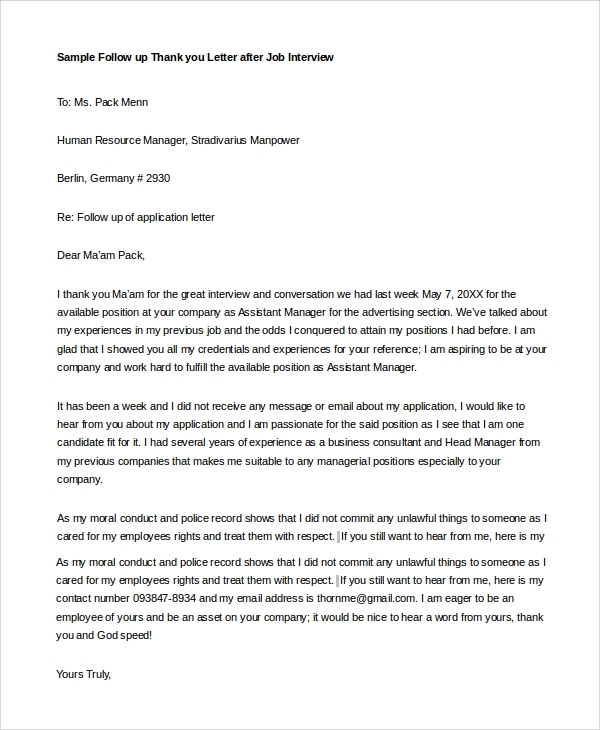 In the world of employment in which so many applications are regularly submitted and surveyed, it was already an achievement to have been scheduled for an interview. On a daily basis, so many resumes are assessed by interviewers, and they get to speak and ask the same questions with a throng of applicants. There are practically hundreds of you with the same objective and the same sights for that one position. 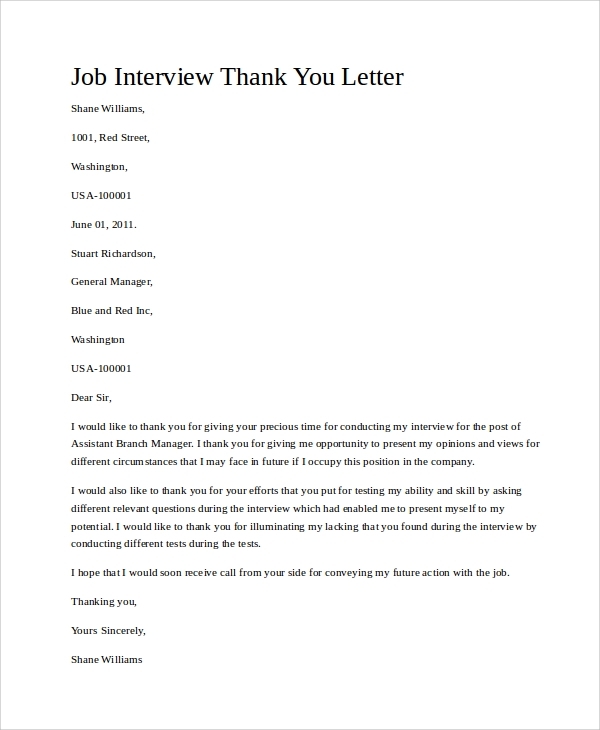 In this case, let a sincere post-interview thank-you letter boost their impressions of you. 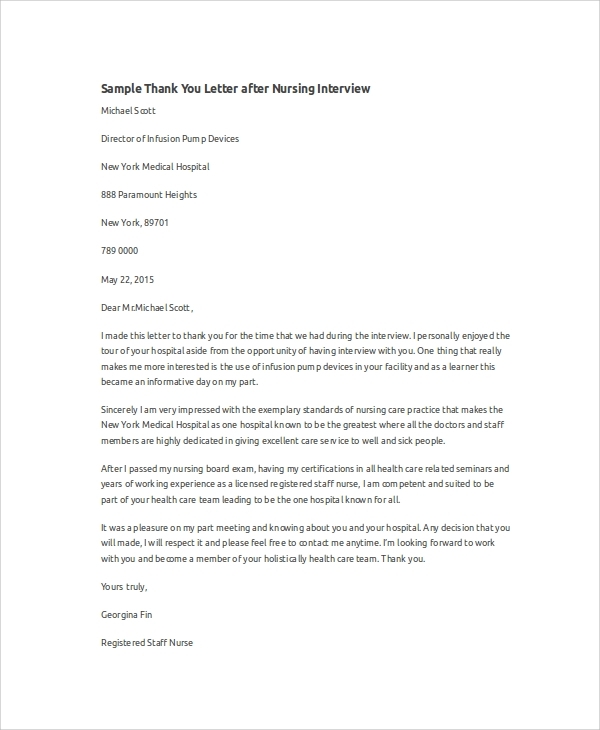 Sending a thank-you letter lets your potential employers know of your genuine interest with their company and with the position you have applied for. At the same time, it is testament to your character and conduct, and employers would want to determine these qualities to see if you could work well for their environment and with their people. The samples herein show thank-you letters written for different job interviews. For whatever the job or position, sending one sends good impressions to your interviewers and potential employers. Format-wise, it should follow the typical format for formal letters. 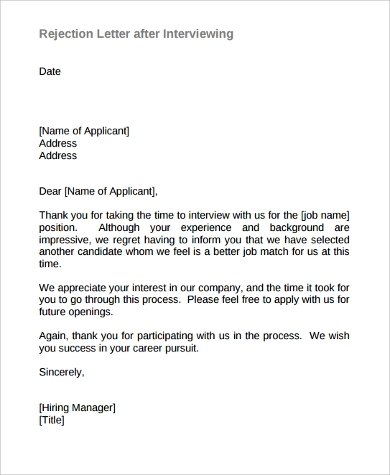 It should be addressed to your interviewers and should be signed off with your name and your contact details. the opportunity they gave you. Also explain why you want to work for them even more after speaking with them during your interview. 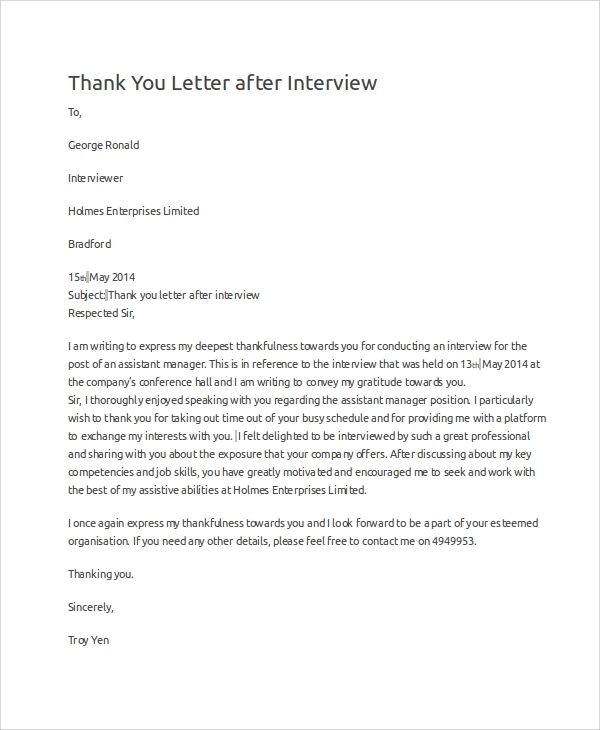 To guide you, see these Sample Thank You Letters After Interview. The same philosophy applies to the world of the academe. 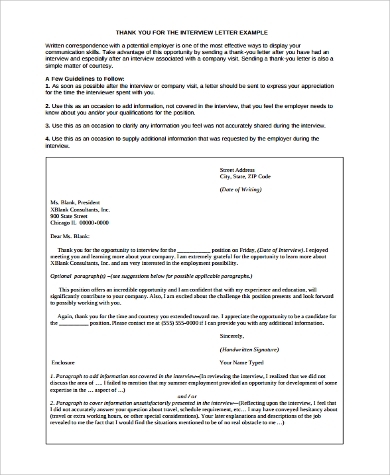 Admission to colleges and universities, and acceptance to scholarship programs also undergo an application process much like in job interviews. A lot of applicants vie for these spots too. Because these programs assess and survey every aspect to your application, seek to also be in the good graces of the institutions you are applying to by writing to them like in these Sample Scholarship Thank You Letters. Remember that even after the conclusion of your interview, it is still important to make a good impression. So whether for work or for school, despite having impressive qualifications and achievements, it is just as important to show good character. You can do so by writing them a post-interview letter or e-mail. 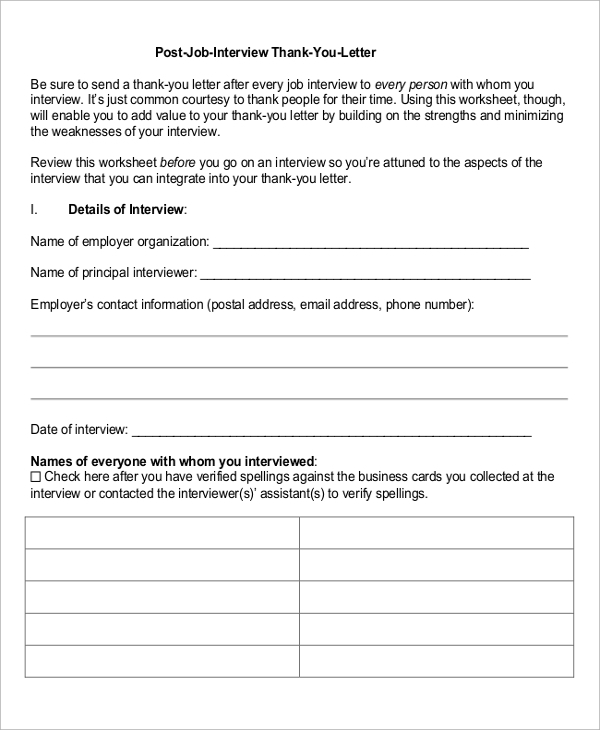 As the interviewers will assess your qualifications and your interview results, a polite and gracious thank-you note will help them see you in a better light, making for a potentially affirmative application. 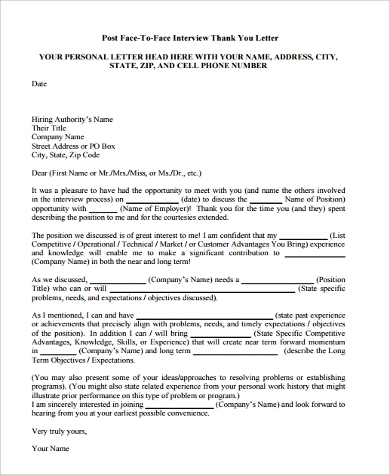 Give your thank-you letter some good thought and polish it with the help of these Sample Post Interview Thank You Letters.